Overheating for a short period of time does not cause sludge/gunk in the oil. That come from YEARS of neglect and/or months of overheating. Also, if you go to HMAservice.com and you will see that it DOES tell you to check the OCV. The mechanic didn't do his job very well. That is his fault, not Hyundais. 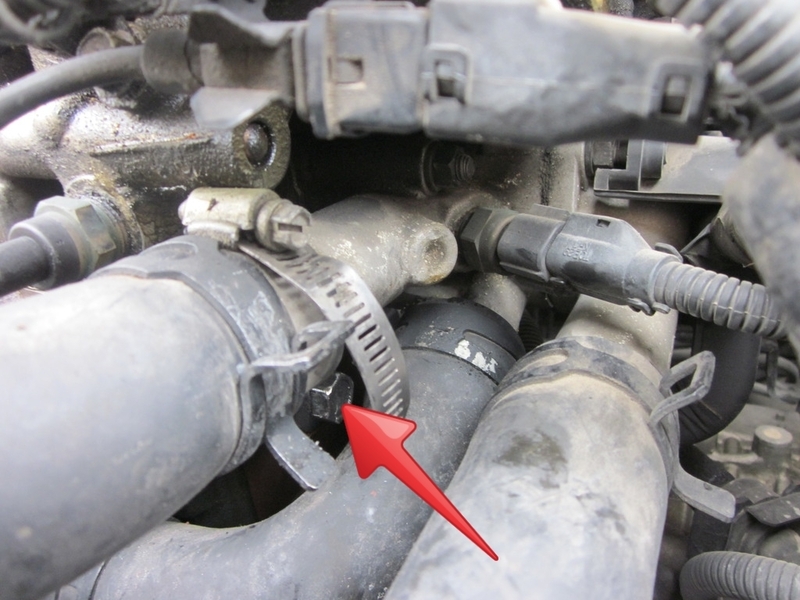 1.Ignition "ON" & Engine "OFF"
2.Remove the intake valve control solenoid from the engine. 3.Visually check the Spool Column of intake valve control solenoid for contamination. 4.Connect 12V and a ground to 2 and 1 of the solenoid(Component side). Verify that spool column move to left as shown in the figure. 5.Disconnect 12V and verify that spool column move to original condition. 6.Has a problem been found? 2.Disconnect intake valve control solenoid connector. 4.Is resistance within the specification? Last edited by NovaResource; 08-21-2009 at 07:26 PM. My wife had complained the a/c was turning off for a few weeks. I was driving it over to check the a/c when it overheated. The thermostat had to be replaced. After that the a/c worked fine. I am sure it had beed running hot. When I was working on it after it overheated I found the oil gunked up. I do not see the oil control valve filter on the list of things to check. It does not take anything but a wrench to take it out and your eye to look at it. If you do not want to clean it it is only $10.40 plus sales tax. But I cleaned the old one with brake cleaner and hot water. Then the code cleared. The OCV or CVVT was not working. I would think that something so simple should be on the list to check. I also do not see why my state will not let my car pass inspection because of the check engine light. If the car runs fine and the emissions are in line then it should pass. It seems like a great way to force people to pay to fix a car that is not broke. The hyundai seems like a good car. It is fairly simple. But when I told the mechanic about the OCV filter he did not know it was there. I showed it to him so now he does. I also do not see why my state will not let my car pass inspection because of the check engine light. If the car runs fine and the emissions are in line then it should pass. It seems like a great way to force people to pay to fix a car that is not broke. The hyundai seems like a good car. Sorry but if the CEL is on, something IS wrong. If nothing was wrong, the CEL wouldn't be on and it would have passed. If you keep you engine oil clean you won't have a problem. It's not "Hyundai engineers" fault that YOU allowed the engine oil to get dirty and get "gunky". It really makes me mad that people like to blame everybody but themselves for not maintaining their car properly. Especially when they think they know more than the factory trained mechanics. Thanks to NovaResource who personally described to me where I could find this. Last edited by Litzenbaum; 03-18-2016 at 12:54 PM.